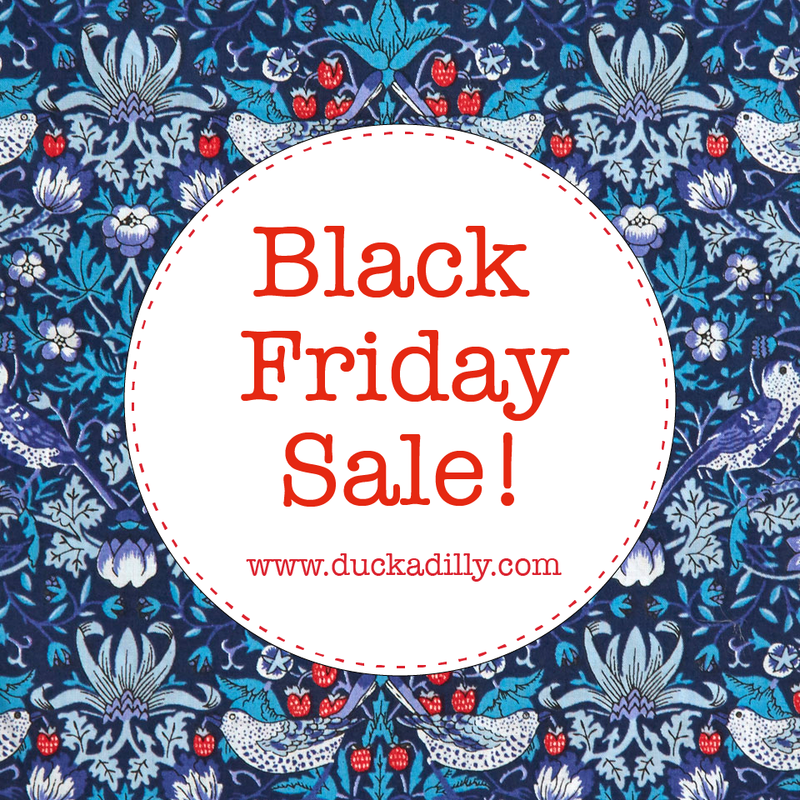 Lily's Quilts: Sponsor News - Black Friday! Sponsor News - Black Friday! First let me list out the Black Friday sales which are raging around the internet today! Duckadilly have 20% off storewide through Saturday, November 29th. Discount may be applied to both regular and sale priced items (excludes gift cards and subscriptions). 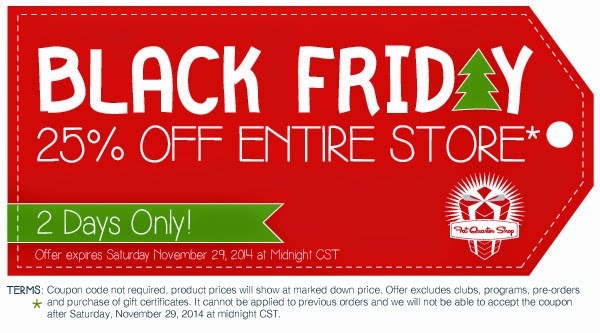 Use coupon code BlackFriday2014 during checkout. Plush Addict have a 10% off everything sale through til Monday using code BLACKFRIDAY10. 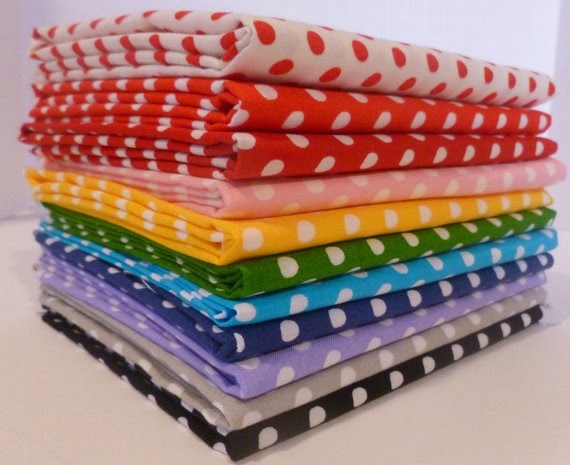 Pink Castle Fabrics have 30% off from today until cyber Monday with code BLACKFRIDAY30. Sew Me A Song have a Thanksgiving shipping special: $0.99US/ $5.99 Canada/ $8.99 everywhere else running through Cyber Monday. Fat Quarter Shop have 25% OFF the entire store for 2 days only. Starting on FRIDAY, November 28th at 12:01 am CST until SATURDAY, November 29th at Midnight CST. Coupon code not required, product prices will show at marked down price. Offer excludes clubs, programs, pre-orders and purchase of gift certificates. 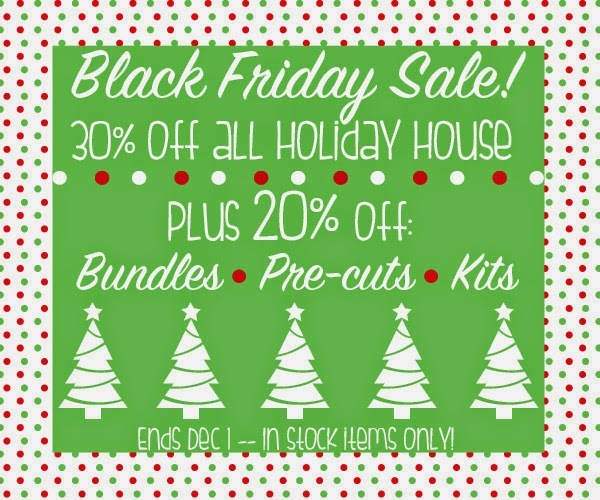 Fort Worth Fabric Studio have 30% off all Holiday House and 20% of all bundles until 1 December. 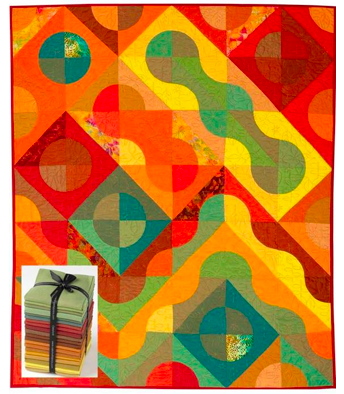 In other news, Oakshott Fabrics have just added this beautiful quilt pattern to their website, available as a free download. Created by Heather Hasthorpe of withoutpins.blogspot.co.uk, it is made from the Autumn F8ths pack and some batik scraps and can be downloaded here. And finally, Shabby Fabrics have new Magic Pillowcase Kits with a tutorial to go along with them on YouTube. These pillowcases use only 3 seams and make a perfect personalized Christmas gift. 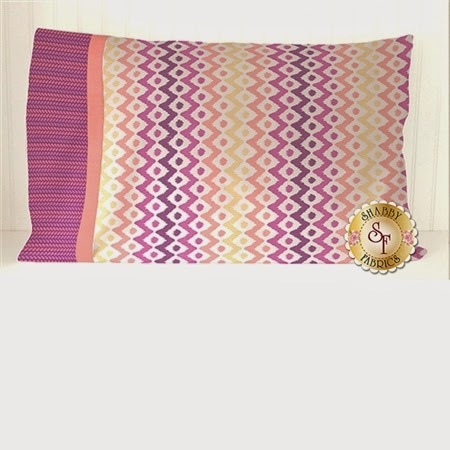 You can fine the link to the pillow case kits here and the link to the youtube tutorial here.